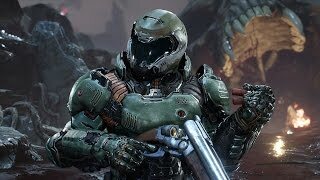 12/10/2018: DOOM is giving out an exclusive Zombie DOOM Slayer skin for DOOM Eternal to celebrate the series' 25th anniversary. 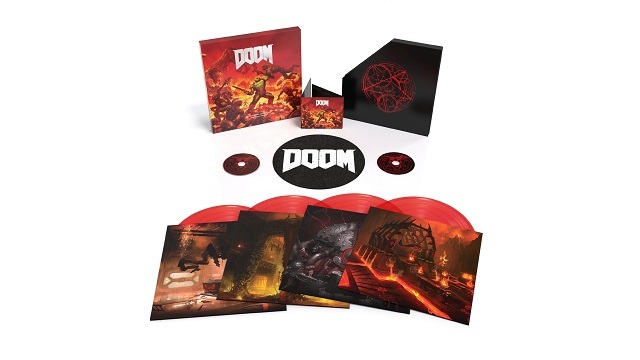 4/18/2018: The DOOM soundtrack will be available on CD and vinyl this summer. 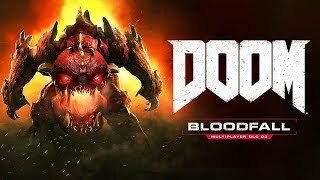 12/14/2016: The Bloodfall DLC pack for DOOM, is now available on PlayStation 4, Xbox One, and PC. 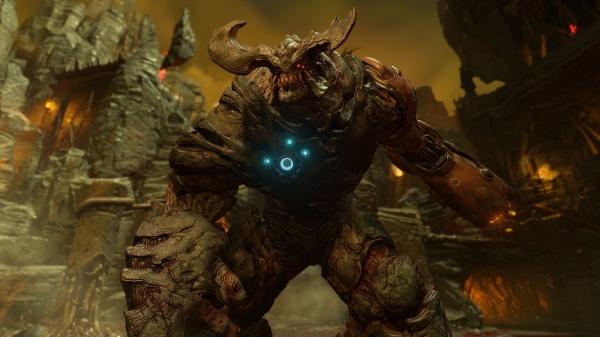 12/7/2016: Update 5 for DOOM is now available as a free download. 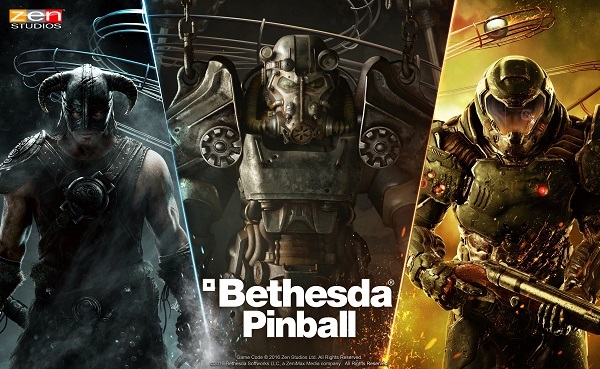 11/17/2016: The three table Bethesda Pinball pack will be available for Zen Studios' pinball games on December 6th. 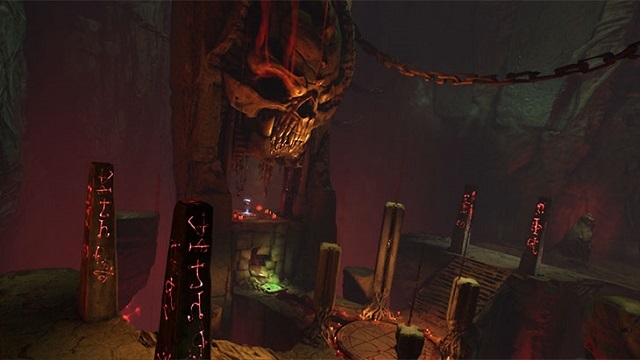 10/27/2016: The Hell Followed DLC pack for DOOM is now available. 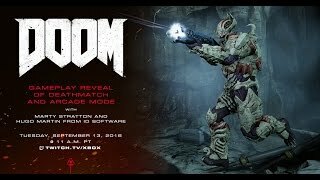 9/9/2016: Free Update 3 for DOOM will be available this month adding Deathmatch and Private Matches to the game. 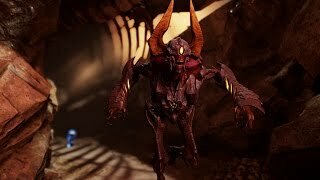 7/28/2016: The Unto the Evil expansion for DOOM will be released on August 5th. 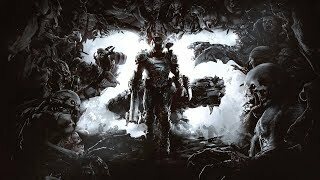 5/13/2016: DOOM is now available for PC, PS4, and Xbox One. 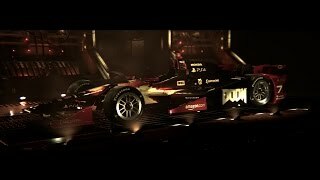 5/12/2016: Bethesda Softworks today unveiled the DOOM car that will be driven by Mikhail Aleshin at the Indianapolis 500 on May 29th. 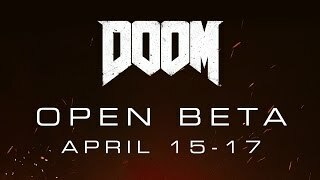 4/11/2016: The DOOM open beta will launch on April 15th. 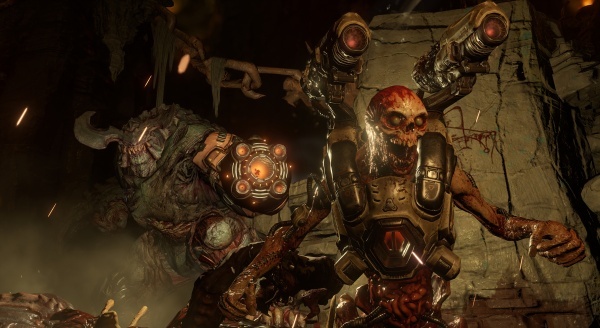 4/6/2016: DOOM will launch its multiplayer open beta on April 15th. 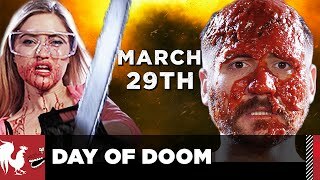 3/24/2016: A celebrity 6v6 tournament of DOOM will be livestreamed on March 29th. 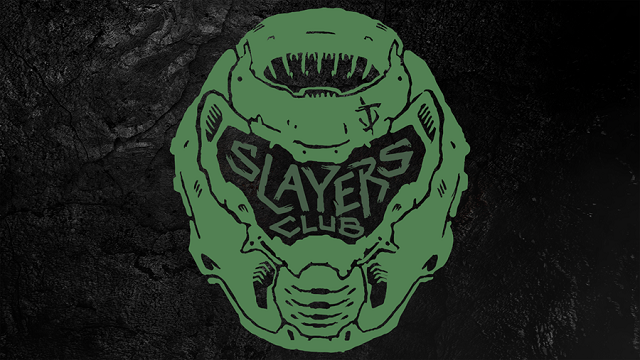 3/9/2016: The DOOM closed beta begins on March 31st. 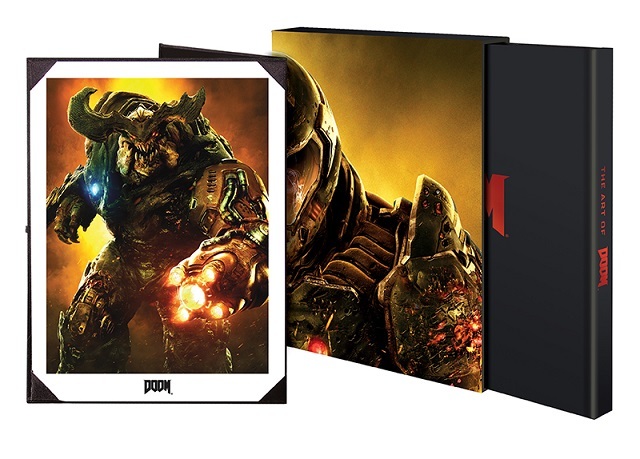 2/10/2016: Dark Horse Books will be publishing The Art of DOOM, and it will be available in stores on June 8th.